ruangrupa is a contemporary art organisation founded in 2000 by a group of artists in Jakarta, Indonesia. As a nonprofit, it works to advance art ideas in an urban context and within the broad scope of culture through exhibitions, festivals, art laboratories, workshops, research, and publications. 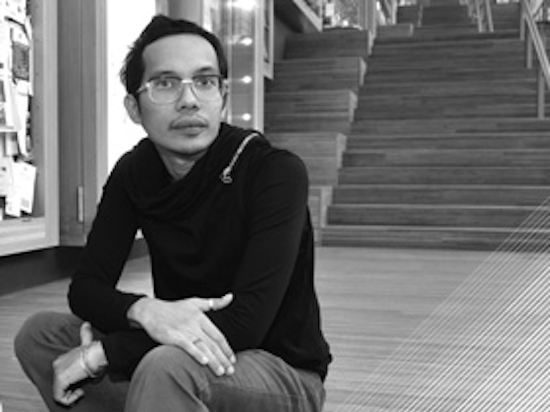 Farid Rakun trained as an architect at the University of Indonesia and Cranbrook Academy of Art, Michigan, Farid Rakun currently serves as a researcher and education coordinator for the artists’ initiative ruangrupa, a nonprofit organization founded in 2000 that examines contemporary Indonesian urban and cultural issues. 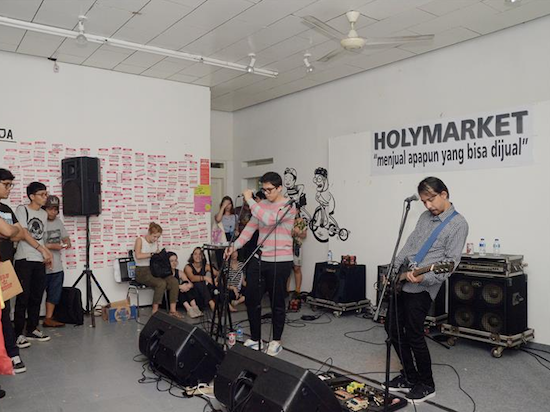 Through interdisciplinary collaboration among the arts, social sciences, politics, technology, and media, ruangrupa produces a diverse array of exhibitions, festivals, art labs, workshops, research projects, and publications. 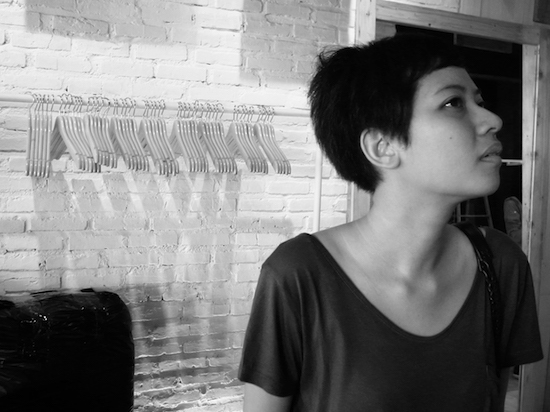 Ajeng Nurul Aini is an art manager and creative producer. She was a journalist in a local TV station, then later joining Forum Lenteng in 2005. 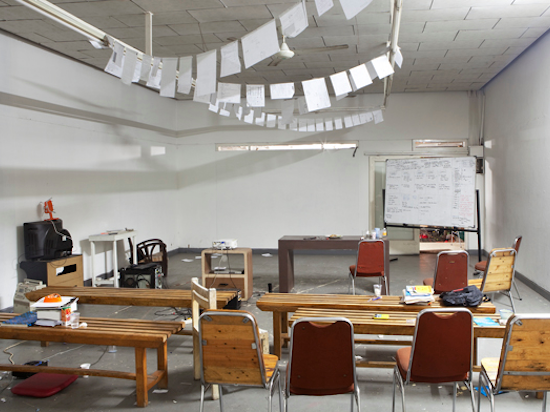 Since 2011, work as manager at ruangrupa, an artist collective in Jakarta. Since then, she has involved in many project for most of its art exhibitions, festivals, and event, including with Jakarta Arts Council. 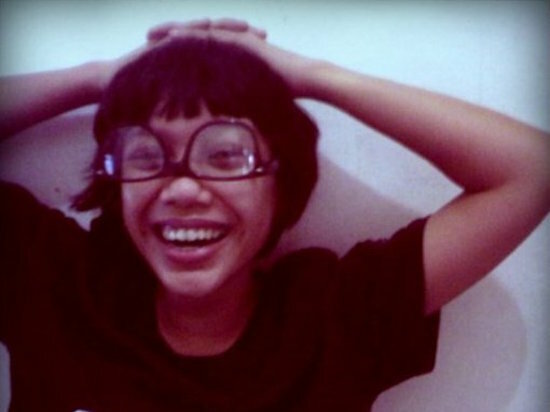 Dila Martina Ayulia was born in 1985. She graduated from Bandung Institute of Technology, majoring in printmaking. Ayu started making her own clothing label with her friends called UGLY in 2013, and working as program director and artistic in RURU Shop. She also continue working individually as artist, including involve in several artist residency, exhibition, and projects in Jakarta and abroad.